A Tampa native, Dan started as a studio session guitar player and is quickly becoming one of Nashville's fastest rising songwriter / producers. Some of Dan's playing can be heard on albums by Lee Brice and Maren Morris amongst others. 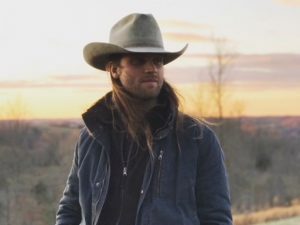 As a writer, Dan's songs have appeared on nation commercials for Cox Communications, TV shows like Lethal Weapon, Franklin & Bash, Pretty Little Liars, CMT's Nashville, and on albums by Ruby Boots (Universal Australia/ Bloodshot), Hannah Ellis, Ross Ellis, Eric Dodd, and Alicia Witt (Jacquire King Productions). Dan also won 3 Latin Grammys in 2017 for his work on Juan Gabielle’s final album and has produced records or singles for American Young, Eric Dodd, and Birdtalker.